Why McNamara? Look down and save $25 instantly. Nightmares like this won’t happen when you hire McNamara. In a word: detail. Picture it, you spend hours doing research and making phone calls to find the best heating service for your home. You pick one and when they arrive: it’s a complete let-down. Sound familiar? It’s not your fault. Chances are there were about six hundred companies in an eight block radius all promising you the same things. Yet in the moment of truth the technicians came in and were blunt and dirty. They walked all over your carpets and floors that you just cleaned. They didn’t clearly explain anything and when they left things felt more uncertain than before they arrived. The worst part was realizing that they didn’t even think they were doing anything wrong. Avoid aggressive repairmen and join a family oriented, friendly company that’s a true part of your community: McNamara Heating. How do you find someone that can fix your heating without leaving a feeling of anxiety eating away at the pit of your stomach? What separates McNamara Heating & Air Conditioning Inc. from the competition? Sure, our technicians are factory trained and certified. 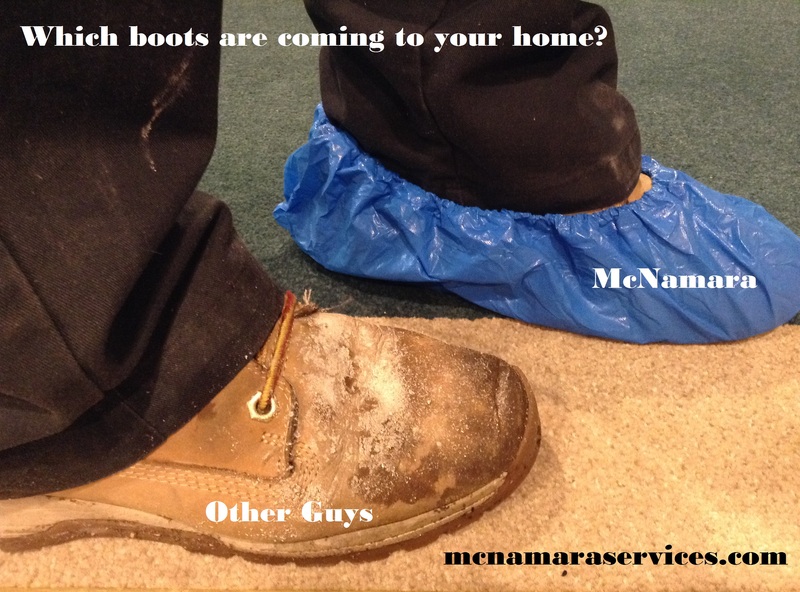 We do not use subcontractors, all technicians and installers are employees of McNamara, licensed and insured in your area. We have almost 100 years of combined experience, and are ranked as one of the top performers in your area… just like all the other top companies in Rockland, Westchester, Bergen and Orange counties. You are a savvy home owner, so you know the key lies in the details. When we come out to your home for heating service or repair: look down for those details. We provide stellar customer service by creating an entire in-home experience for you. Our technicians are trained in non-standard experience-enhancing education that goes well above the minimum qualifications of factory certification programs. Our technicians learn speech etiquette to ensure communication is clear and easily understood. They receive time efficiency training to ensure punctuality. We have dust control standards and protective equipment on every truck so you never have to worry about cleaning up after a technician. Clean tarps, fresh boot covers, plenty of rubber gloves and spare cover jackets ensure no smears on your floors or smudges on the walls. We strive to give you more than just great service. Our attention to detail and courtesy toward the little things will make the difference between a one-time visit, and a lasting relationship. It’s no wonder we’ve had customers loyal to us for over 20 years. Join the McNamara Family and receive regular discounts and off-season pricing. We service all brands: including those we do not sell. We install Trane, Mitsubishi Ductless, Aprilaire and more. From now until April 30th, 2017, mention our dirty boot ad to save $25 on your next air conditioning service or repair*. 845-735-8228.